Reds striker Daniel Sturridge has been rewarded by Liverpool supporters for his stellar start-of-the-season form with the Standard Chartered Player of the Month award for August. The 24-year-old struck winners against Stoke City and Aston Villa in the Barclays Premier League during the month and contributed two crucial goals in the Capital One Cup victory over Notts County at Anfield. In the first Player of the Month vote to be held on Twitter, Sturridge received almost 7,000 votes - more than double second-placed Simon Mignolet. Defender Kolo Toure took third place. The England international has now notched 16 goals in 20 appearances for the club. 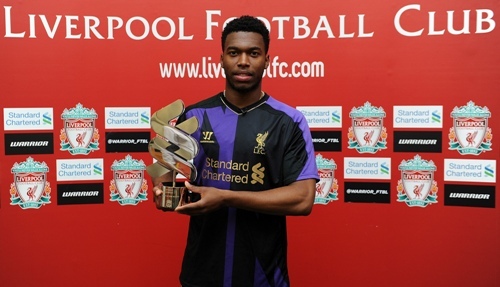 Fans can watch the presentation of the accolade to Sturridge for free by clicking play on the embedded video below. 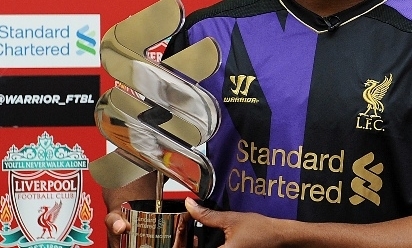 After collecting the prize at Melwood, the No.15 told Liverpoolfc.com: "I just want to say a special thank-you for making me part of the family and for giving me this award. "I've been working very hard to get fit and to be able to get this now, having helped the team win and get to the top of the league, and just to be part of the LFC family is brilliant. "I want to thank you especially for giving me this and believing in me." 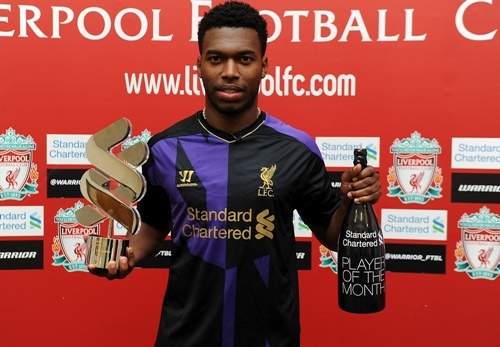 The honour caps an incredible August for Sturridge, who on Friday claimed the Reds' Goal of the Month award in association with EA SPORTS and was voted Barclays Premier League Player of the Month. For extended evidence of why the striker was the supporters' choice for the award, tune into LFC TV at 6.15pm BST for our dedicated Player of the Month programme.